How can we best help offenders desist from crime, as well as help victims heal? This book engages with this question by offering its readers a comprehensive review of positive criminology in theory, research and practice. 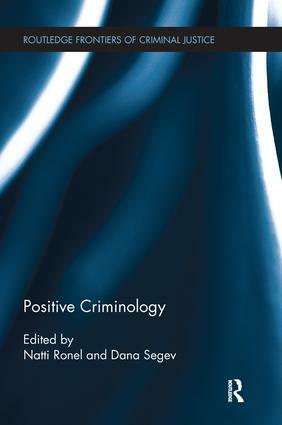 Positive criminology is a concept – a perspective – that places emphasis on forces of integration and social inclusion that are experienced positively by target individual and groups, and may contribute to a reduction in negative emotions, desistance from crime and overcoming the traumatic experience of victimization. In essence, positive criminology holds a more holistic view, which acknowledges that thriving and disengagement from distress, addiction, mental illness, crime, deviance or victimization might be fostered more effectively by enhancing positive emotions and experiences, rather than focusing on reducing negative attributes. This edited book elaborates on positive criminology core ideas and assumptions; discusses related theories and innovations; and presents various benefits that this perspective can promote in the field of rehabilitation. For this reason, this book will be essential reading for those engaged in the study of criminology, criminal justice and victimology and may also assist scholars and professionals to help offenders desist from crime and improve victims’ well-being. How can criminology (and victimology) become positive? Positive criminology, positive criminal justice? Criminal justice involvement and positive criminology? What is the role of the community in supporting and enabling recovery? Present to future: a positive direction for criminology?